Photo above: By Ruin Raider with Flickr Creative Commons License. The chairman of the powerful House Judiciary Committee is sponsoring a bill that will prevent police officers from confiscating property without having proof that the owner was involved in drug law violations. Currently, police may seize items like cash, weapons, vehicles or houses if they believe they are involved in violation of drug and gambling laws, regardless of whether an arrest has been made. It is up to the person who owns the property to prove in court that they are “more likely than not” innocent, or the property is forfeited after a certain time period — usually one year. Del. Joe Vallario, a Prince George’s County Democrat and chairman of the committee, is proposing to change that by requiring that the state has the burden of proof. He is also proposing to eliminate a cash-generating loophole that allows the state to funnel property to the federal government in exchange for a cut of the proceeds. Most of the Democrats on the committee are co-sponsors of HB360. In one case brought before the House Judiciary Committee, a law enforcement officer confiscated cash from a boy after searching his car for possible marijuana. Gerald Stansbury, president of the Maryland State Conference, NAACP, said the young man was moving between states and passing through on I-695. He had cash in his pocket along with receipts to show the withdrawal from the bank. Once the money was taken, the boy proceeded to get a lawyer in an attempt to retrieve his money, but “at some point in time he just gave up,” said Stansbury. It is not uncommon for people to give up while trying to reclaim seized property, especially when the costs outweigh the item’s value. “Most citizens do not have enough at stake to bring a lawyer to court,” said Richard Finci, on behalf of the Maryland Criminal Defense Attorneys’ Association (MCDAA). For example, in the case of a car that was seized based on suspicion that it was involved with drugs, it is the owner’s responsibility, not the officer’s, to prove that it was not. If they cannot prove innocence, the car is sold and the profits are used by the department as revenue. Some states have used these revenues for good. Utah, for example, removed the enticement of revenue from law enforcement by directing all seized asset funds to public education and drug treatment programs. 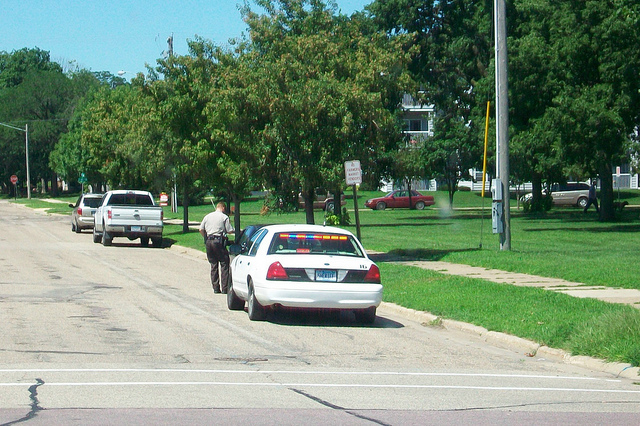 Police departments can also earn cash from seizures by using an equitable sharing program with the federal government. The departments transfer assets to federal law enforcement agencies and local departments can get a return of up to 80% of the asset’s value. HB 360 would try to reign in federal sharing by prohibiting a transfer of funds unless there is a prosecution assigned under federal law. Also, it would require the state to charge the owner of the item seized criminally within 90 days of the seizure. If they are not charged, the property must be returned. Police officers are concerned that the bill will not cover common situations where the asset is registered under the name of relative instead of the criminal. There are also doubts over the three month restriction. “It creates an unreasonable hurdle for law enforcement to choose between hurrying their cases and showing their hand or allowing dirty money to continue to fund the criminal enterprise,” the Montgomery County Office of Intergovernmental Relations stated in testimony. The office supports the bill with this exception. Lastly, the bill will not allow officers to seize money that is $300 or less. With the heroin epidemic underway in Maryland, Travers believes the cheap drug won’t be valued enough to be seized immediately — even if officers witness a drug sale. Delegates on the Judiciary Committee believe that Maryland does not seize as much as other states, but lacks detailed reporting. This bill will call for annual reports from law enforcement agencies. “I’m not saying that never happens, and please don’t get me wrong, I understand that it does, but I haven’t seen a lot of cases where it has,” said Del. Kathleen Dumais, vice chair of the committee and a co-sponsor on the bill. Del. John Cluster, a Republican and former Baltimore County police officer, said he hadn’t seen a single case of abuse in his time as a detective, patrolman and supervisor in charge of those units. Hamby told the committee that in the Prince George’s County Police Department if seizures don’t meet standards, the money will be returned. The Prince George’s County Police Department sends its forfeiture profits to a special revenue fund where 65% goes to the police and sheriff departments, 15% to the states attorney for drug reports and prosecution,15% for the Department of Corrections; specifically for ex-offenders re-entry programs, and 5% to the Health Department for drug prevention education programs.